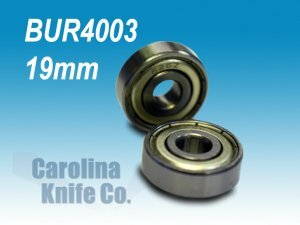 Dusenbery Score Slitters - Find Replacement Dusenbery Slitter Blades Online! 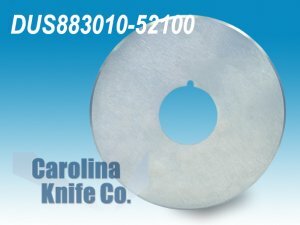 | Carolina Knife Co.
Dusenbery score cut slitter knives are commonly used for score or “crush” cutting paper, film, foil and non-woven products. These knives are manufactured from many steel types. 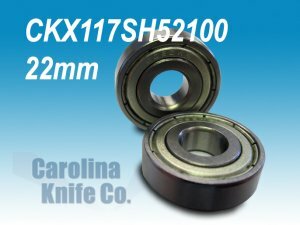 We manufacture these blades following materials: D2, M2, CMP10V, Carbide, and 52100. 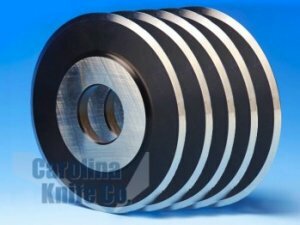 Score slitter blades or “crush cut blades” are used in a cutting process of passing a material between a blade and a hardened roll or “sleeve”. The material is crushed into two separate pieces between the knife and the roll. 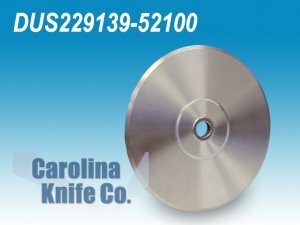 Because of the constant metal on metal contact between the score cut blade and the roll, these blades don’t have a razor sharp edge, but instead have a rounded edge with a larger radius. 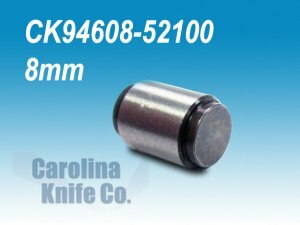 This ensures longer run times, as sharper blades would dull quickly and create an uneven cut. A score cut knife is used for continuous cutting applications and is ideal for perforating paper or similar material. 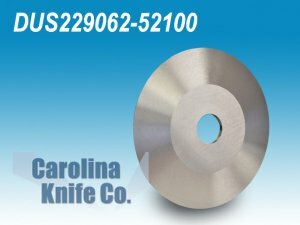 Carolina Knife Co. manufactures all blades and accessories used in the score cutting process including a full line of perforating blades.